Design, Manufacture, Integration, Factory Acceptance Test, Pack & ship to port for export. 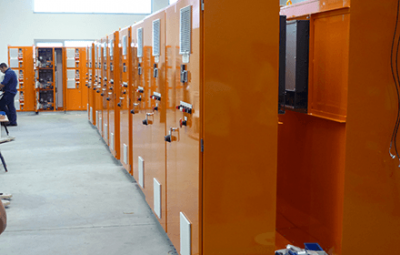 25 DCS Cabinets (Siemens PLC). Distribution, communications and marshaling sections. 150+ Communication panels, Local Control Stations and & MCCs. Leadtime of ‘Free Issue’ items.